Our Ladies’ Dressing Guide post back in September has been the most viewed featurette on this blog -wow!! I am really excited to finally be able to offer a follow-up for the guys… our clothing collection for the male interpreters is starting to grow, and I encourage our volunteers start using some of the new pieces this spring! Keep in mind that people’s jobs and station in life would change how they dressed (see our post on Clothing Diversity), but this will give a good idea of a basic outfit. 1. Shirt: Men would always start with this basic linen undergarment. This multi-functional piece was great for sleeping in as well as wearing during the day. 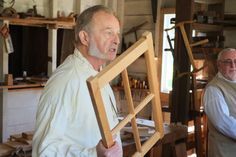 Just like the ladies’ chemise, most were made with an inexpensive linen to absorb the body sweat and oil and grime of the day, protecting the outer, more expensive layers. 2. Stockings: Knitted or cut of a woven cloth, these were used to cover the men’s calves and provide warmth and protection from the elements. They would not stay up on their own, so men and women tied ribbons or rope or bought garter belts to secure under the knee and keep them in place. 3. 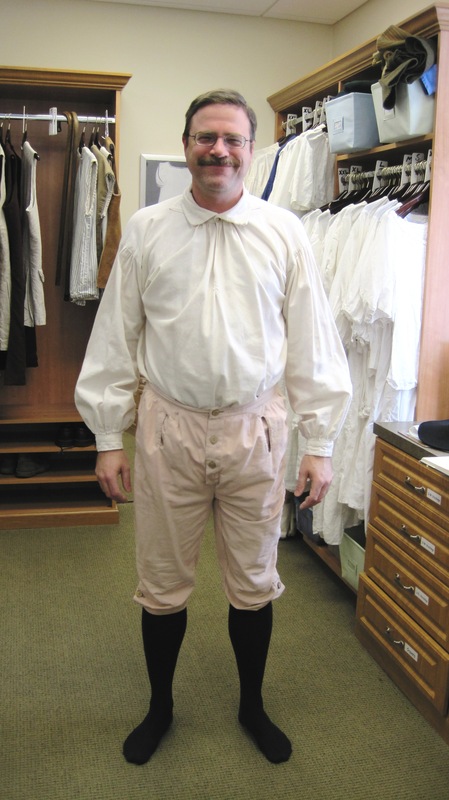 Breeches: Men’s long pants would not come into fashion until the early 19th Century. 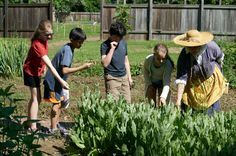 Breeches were practical because working men could pass through the brambles and thickets of their pastures and lands without getting caught or muddying their bottom hems. They also provided volume under the fashionable coats of the period. 5. Cravat: This may look like a simple accessory, but the cravat was an important part of a man’s ensemble. Even the poorest of men would have some sort of cravat tied at the neck. People could tell a man’s station in life by how long and decorative his cravat was. A cravat was simply a rectangular piece of linen, as shown here, wrapped around from back to front and tied at the neck. If the cravat was long enough, it was tucked into the waistcoat and the top left unbuttoned to allow the cravat’s volume to peek through. Men of higher stations would have even longer cravats to wrap from the front toward the back, cross over, and bring back around to tie in the front. They could add frills or lace, as it was fashionable to have as much trim as possible. 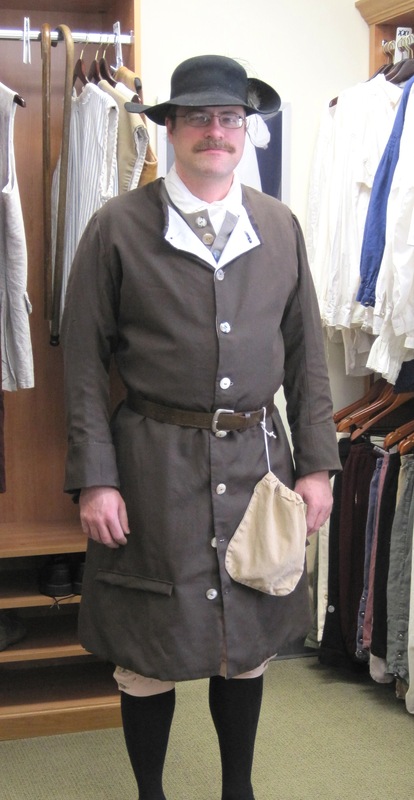 Quaker men of higher station might have a cravat of silk rather than linen, but it would still be a simpler style, such as the one modeled here. 6. Waistcoat: In my research, the term “waistcoat” seems to be loosely applied to any basic sleeved or sleeveless top, which could be worn underneath a coat for extra warmth and style. In many of the Marcellus Laroon drawings, it does not appear as if they street cryers are wearing waistcoats beneath their outer coat (although it can be hard to tell). But the term seems to have also been applied to the outer sleeved coat worn by poorer men and laborers, perhaps because could be shorter and simpler than the traditional outer coat (see example on left). Sleeved waistcoats do not appear to have cuffs, whereas coats do. This can make it very confusing! But for most men, the waistcoat seems to have been an additional layer to their outfit, both practical and stylish. 7. 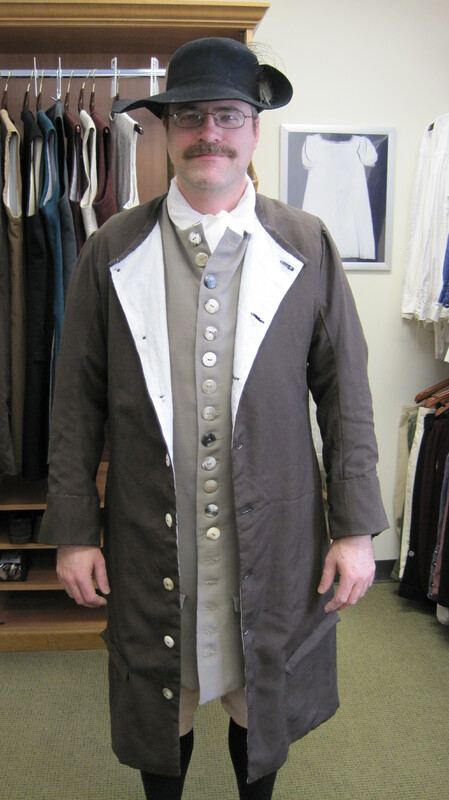 Coat: All men wore some kind of coat, whether is was a “sleeved waistcoat” as described in #6, or a simple Justacorps Coat (as pictured on Tom above), or the more expensive and full-bottomed Frock Coat (seen to the right). The amount of fabric, number and quality of buttons, and decoration would indicate a man’s class and position in society. Quakers were an anomaly, as they may have the money and position for an embroidered, lacy frock coat, but chose a more simplistic and humble style. Many men chose to wear their coats open, preferring the loose style and showing off their waistcoat. 8. Cocked Hat: All men of all stations wore a hat when in outdoors and in public. Just like the rest of their clothing, the style, quality, and decoration on their hat would indicate their social position. The poorest laborers might only wear a knitted or cloth cap (see the waistcoat drawing above). The wealthiest and most fashionable men would wear beaver fur-felt hats cocked on the sides with ribbons or feathers and trimmed in any decoration imaginable (see the example directly above). The rest fell somewhere in-between. Tom is wearing a felt hat cocked on one side with some peacock feathers, shed from Pennsbury’s own birds last year. Straw hats were also worn, but were more common in the country than in town (most hats pictured in Laroon’s London scenes were felt). 9.Belts: Many paintings and drawings depict men wearing loose belts draped around their waists. Sometimes they are just on their own, and sometimes they are used to carry other items. Men have actually carried purses for centuries longer than ladies! A bag could hold a wallet, pocketknife, handkerchief, and other miscellaneous tools depending on your trade. Larger tools could also be tied to the belt. Gentlemen might carry a sword, whether they fought with the army or not. 10. Wigs: Men of all jobs and positions also wore wigs. In the late 17th Century, it was very fashionable for men to have long luxurious curls. The style and shape would change, but the wig craze would extend to the ladies before long and continue throughout the 18th Century. Some men did not have the money or interest in wearing such long and cumbersome wigs, but it was common to wear more practical versions in powdered white and other natural colors. Our model Tom is not wearing one, as we don’t have any in our clothing collection. Realistic wigs are expensive to obtain, but there is one on display in the Manor House. For more information on wigs, see our Exploring the Artifacts post. 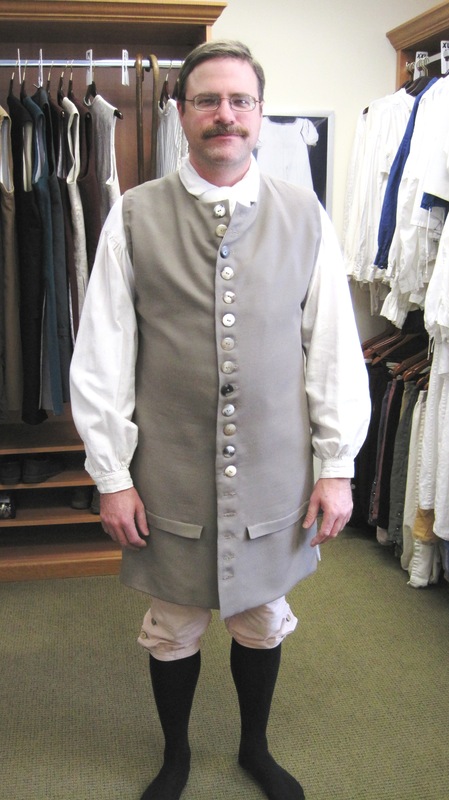 The ensemble in this guide is an ideal look for interpreters giving tours of the Manor House, as they represent the secretaries, stewards, businessmen, and local Quakers working with the Governor while at his estate. This could also work for Joyners and other tradesmen working at various crafts around the estate. Look for more posts discussing how you would tweak this outfit depending on your position and job… coming soon!